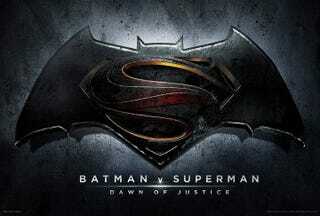 The new Batman v. Superman movie is called Dawn of Justice and here is the official logo. The title is obviously playing upon the announced Justice League movie follow-up, so we can assume that the initial brawl between the two characters will end (fairly) well. The movie is set to open worldwide on May 6, 2016.